Online recruitment portal SEEK has reported the mining, resources and energy sector as one of the five biggest industries for job growth over the past year. Mining operations have far-reaching effects, helping to support community services and initiatives far and wide for improved health, safety and education. From shaking out moves at the Parkes Elvis Festival to commencing its next block cave mine, it’s all happening for Northparkes Mines. Mining, resources and energy has been cited in Seek’s latest employment report as the “star performer” for new job ad growth in 2018, with listings up 32 per cent on the previous year. The transformation of mine sites to fully automated mines will bring great benefits to workers, including the removal of conditions attached to fly-in fly-out (FIFO) work, technical recruitment services provider Fircroft has found. Job vacancies in the mining and resources sector fell by 3.9 per cent in November as the end of the year is approaching, with the same trend observed in both Queensland (5.9 per cent) and Western Australia (2.5 per cent). The University of South Australia will be attracting talent pools to the Australian minerals industry by developing an immersive virtual reality education and outreach program. Mining resources and energy sector led Australia’s year-on-year rise in job advertisements, according to SEEK’s latest report. Mining job opportunities in South Australia are trending up according to a report from research body Resources and Engineering Skills Alliance (RESA). Mining, resources and energy has placed first in a new report from employment company SEEK ranking average salaries across 28 industries in Australia. Employment portal SEEK has released a report showing that the mining, resources and energy industry has taken pole position for annual job growth over the past year. 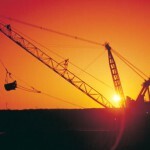 Queensland is teeming with hundreds of jobs in the resources sector, from Townsville and Mt Isa in the north, to Toowoomba and Roma in the south and in corporate headquarters in Brisbane. 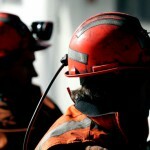 Most regions across Australia have experienced an increase in permanent mining roles on jobs portal SEEK, suggesting renewed confidence in the sector following a five-year mining downturn. Supporting Australia’s mining companies to create more high-wage, high-skill jobs is the best way to strengthen regional communities and lessen inequality, according to Minerals Council of Australia (MCA) interim chief executive officer David Byers. The ManpowerGroup Employment Outlook Survey, a national employment survey covering the first quarter of 2018, has suggested the mining and construction industries are part of a burgeoning job market. Glencore is to fill over 200 jobs for various copper and zinc operations in North Queensland, including operations in or near major mining towns such as Mount Isa, Cloncurry and Townsville. Rio Tinto has joined forces with the Western Australian Government and South Metropolitan TAFE to pioneer a curriculum required for the mining industry’s jobs of the future. Advertising for resources industry jobs on online recruitment portal SEEK has grown by 72 per cent over the past year.